Today I'm here to show you the project that I made as Guest Designer for Storie di Timbri, Carta e... for their new October Challenge with the theme Dies. For this wall hanger, I used a digital stamp from Shacky A. Planet that I won on their Summer challenge. My dies: Sentiment, flower branch, coiled flowers and leaves. A blog Hop that has been organized to raise awareness about Domestic Violence. The project had to feature something purple. I chose this quote that I found because I think we need to rise little girls to know that they are valuable by themselves and do not need to be princesses that need rescuing. HA! This made me giggle out loud! I love all the mixed media elements going on - what a perfect design. What you said about raising girls to know that they are strong on their own and worthy of their own volition really resonated with me. Thank you SO much for sharing at the Hop to Stop! That sentiment cracks me up! this has so much going on -- I love it! Beautiful card! I love all the pretty details that you've added! Pretty creation! 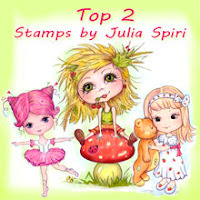 Love the image & your embellishments! This is amazing!! LOVE the sentiment and that image and all the layers! What a fun take on the Cinderella story! Love your project!! Thanks for sharing this pretty creation with us at Crafty Gals Corner! This is gorgeous! 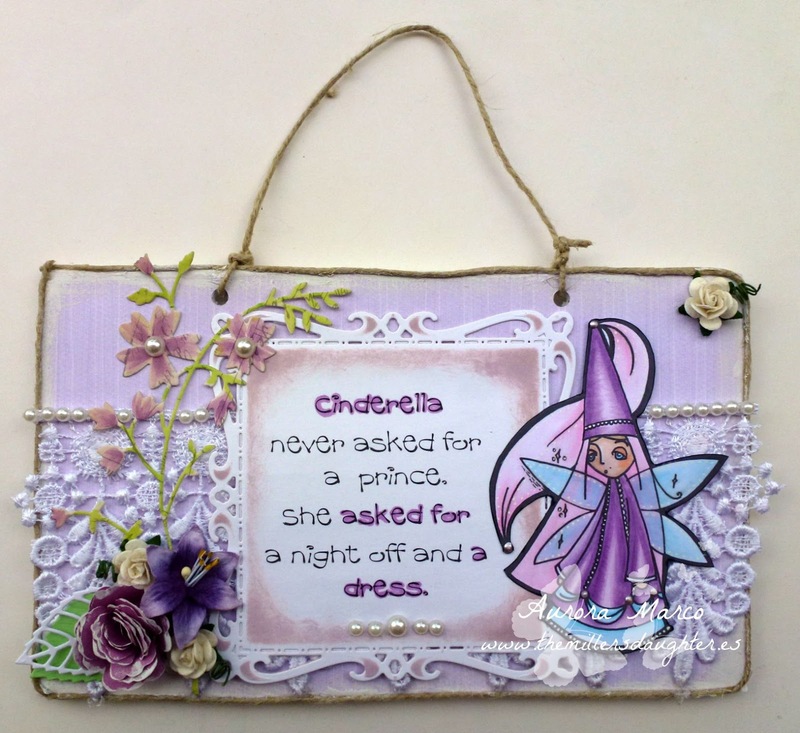 Thanks for joining us at Spellbinding Stamps for our Embellishment challenge! Hello Aurora, Fantastic project. I am visiting you via Becca's blog for the Hop To Stop Cause. Beautiful! Would definitely hang this on my wall...so,pretty and su much detail..love it! Aw your card puts a big smile on my face ... it's cute as can be! Beatiful card! The flawors is fantasy!Thanks for joining us atThe Crazy Challenge! 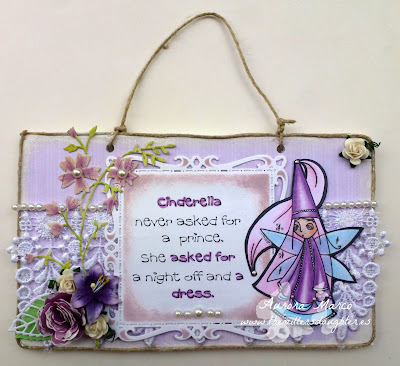 Thank you for joining Craft Your Passion Challenge#281 with your wonderful creation. Good luck! LOVE the sentiment and all your PRETTY purple embellishments!!! I love this fabulous wall-hanging...both the message and the art. Beautiful colour palette and the lace creates such a gorgeous background for the flowers and image. Thanks for joining our texture challenge at The East Wind. I hope we see you again soon. This looks really great, well done! Thanks for joining us at The Crazy Challenge. What a fun project! Love the sentiment...so true...the real princes are the ones who can sense our needs and provide support rather than wealth and all its complications. So glad to have noticed your project on the Hop to Stop Domestic Violence. Such a beautiful creation for The Hop to Stop. Your purple beauty caught my eye and I stopped in to get a closer look. Such a cute image, and the sentiment made me chuckle. Thank you for supporting this worthwhile and very serious issue. Lovely project, thanks for sharing with Artistic Inspirations! This is a stunning project! Love it! Thank you soo much for taking part in our "Clear It Out (Use a Stash item) ” challenge over at Come and Get.